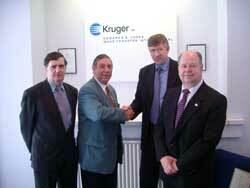 2004 - Paul Foster Managing Director Kruger UK, Edwards & Jones, Mass Transfer International, Veolia Water Systems and Dennis Hunter Managing Director of EEC EUROPE LTD have completed their Agreement for Veolia to develop the sales of EEC wastewater treatment package plants, for both commercial and industrial applications, throughout Europe. 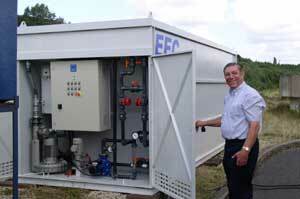 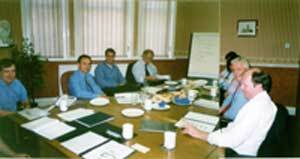 EEC Global Operation LLC, holds a wastewater seminar with Veolia Water Systems in UK September 2004. 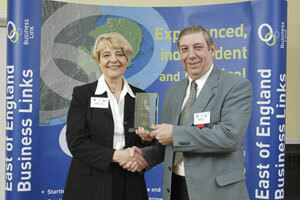 2004 - EEC (EUROPE) LTD based in the UK receiving their Innovation Award for the process design of their unique biological treatment plant at the East of England Department of Trade & Industry Innovation SMART Awards"